You will not find such an up-to-date collection of book production equipment anywhere in the Scandinavian book market outside ScandinavianBook. As a completely new book printer, we have gone through the market carefully to find the best production solutions and we have been able to select producers and suppliers without having to stick to old agreements and contracts. ScandinavianBook highly prioritises the fact that we are responsible for the post processing of our printed materials ourselves. 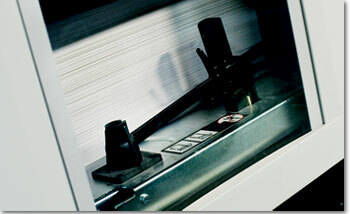 This allows us to control the quality and ensure that delivery times are met. 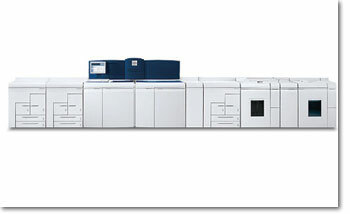 New printing technology – Faster and better! ScandinavianBook prints books using a completely new digital print technology which is more than 10 times faster than traditional digital print machines. 1. 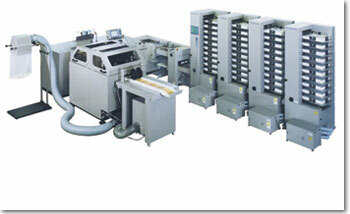 The toner is fixed using light and the paper is not exposed to heat. 2. 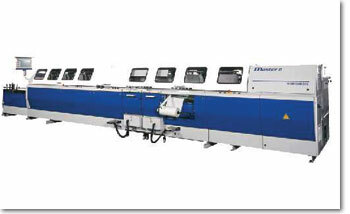 Fuser oil is not used, which means that the print is fully matt. 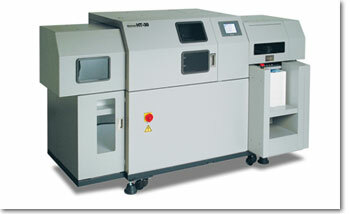 This results in a quality that corresponds to the well-known offset quality. The combination of equipment does not actually exist in any equivalent set-up anywhere else in the world. ScandinavianBook is proud to be the only company in the world to run book production using the combination of Xerox Continuous Feed and a LaserMax cutter. Max format: 42 x 50 cm. A glue binder is primarily used in book production when books need a glued spine. 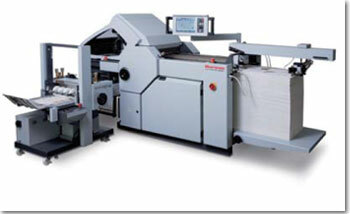 We can produce books up to 62 mm thick. Max format: 32 x 37 cm. Max format: 32 x 32 cm. Max format: 32 x 23,5 cm. 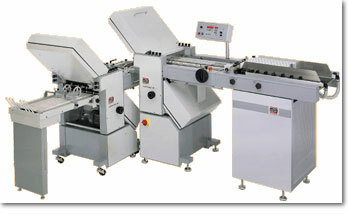 A saddle stitcher folds and collects sheet into brochures. We use one of the most modern saddle stitchers on the market, which folds, staples, inserts folding lines and cuts fully automatically. This is your guarantee for perfect brochures – every time! 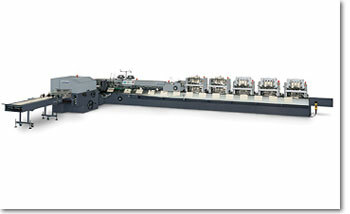 The saddle stitcher can manage brochures with maximum 80 pages. If you need more pages, we recommend glue binding. 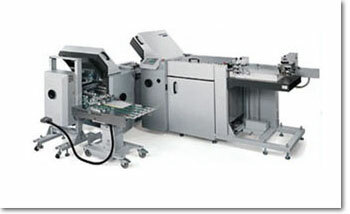 Note that folding lines are also inserted in printed materials, fully automatically. The price of folding and stapling is included in the price for brochures. Max format: 30 x 35 cm. Max format: 23 x 32 cm. Folding means that the printed matter is folded. A fold is typically made in the middle of an A4 sheet, but many other types of fold can be made. If there is any ink on the fold, the paper may crack. This is particularly applicable to digital printing where the ink lies on the paper instead of being sucked into the paper. The crack in the paper can be partially fixed by inserting a folding line before folding. The price of folding is included in the price for leaflets and brochures. • the price for folding falls significantly with 10,000 items. • gate folds are more expensive than other folds. Speed 8.000 pcs. 70x100 cm-sheets an hour (40.000 pcs. 4-sided A5). Max format: 70 x 100 cm. Max format: 558 x 850 mm. Max format: 38 x 65 cm. 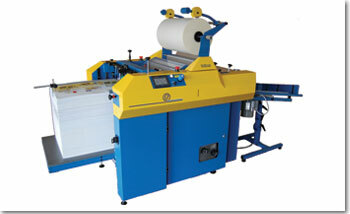 Lamination is a thin plastic film added to the printed material. Exclusive look and additional durability Lamination gives your printed material an exclusive look and additional durability. 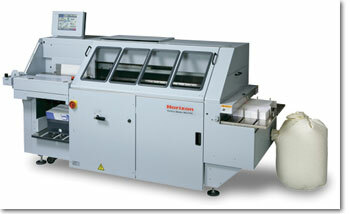 We offer matt and gloss lamination. Same price. You can see the price for lamination in the price calculator. Max format: 40 x 38 cm.